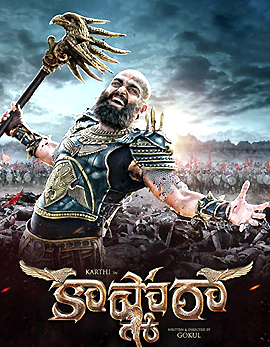 Kashmora is the story of Kashmora (Karthi) who pretends to be the controller of ghosts. His tricky acts pushes him into trouble and he falls in trap in an old fort in which Raj Nayak’s spirit lives. The rest of the movie is all about Kashmora’s relation with Raj Nayak and what happened 700 years ago. Watch Kashmora to know about the rest. The first half of Kashmora has been slow in pace however the film has enough dose of entertainment. The VFX effects are said to be the major highlights of the movie along with Karthi’s outstanding performance throughout the film. All the songs in the first half spoil the flow of the movie and they can given a skip. The interval episodes make the film interesting and on the whole the first half of Kashmora has been just ok. The second half has enough flaws throughout the film however the flashback episodes elevate the film well. Karthi and Nayanthara impress the audience big time with their performances and Karthi’s comic timing is the major highlight of the movie. Some of the episodes have been dragged too much and they can be easily chopped off. The climax too has been completely predictable and on the whole the second half looks lively just because of the performances. Karthi has been impressive to the core in the film and his comic timing is the major highlight. Karthi has been top in both the roles and is the major show stealer. Nayanthara has been expressive throughout and she performed loud in the assigned role. 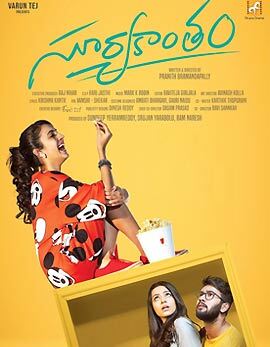 Sri Divya has been decent and Vivek turned impressive in the role. All the other actors have been decent. The story of Kashmora has been decent however it resembles many movies. The screenplay and the dialogues have been decent. They have been impressive. The songs and the background score are the major disappointments of the movie. The cinematography has been impressive to the core and the production values looked lavish. Gokul worked hard on the film however enough flaws and the dragged episodes of the film killed the film’s flavour. Karthi steals the show with his outstanding performance throughout. However the movie misses the track completely during the second half which makes the film fall flat.